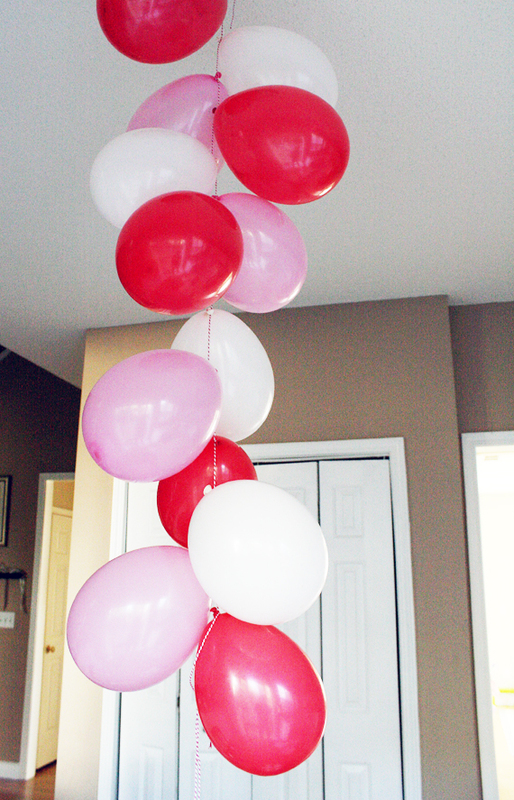 Since I will be traveling this weekend, I hosted a mini valentine's day party for my little ones and their friends Feb. 1st :) I kept it super simple and the total cost was under 25$! Cupcakes: Gluten free Betty Crocker mix (thanks Betty!) for our gluten free friends. 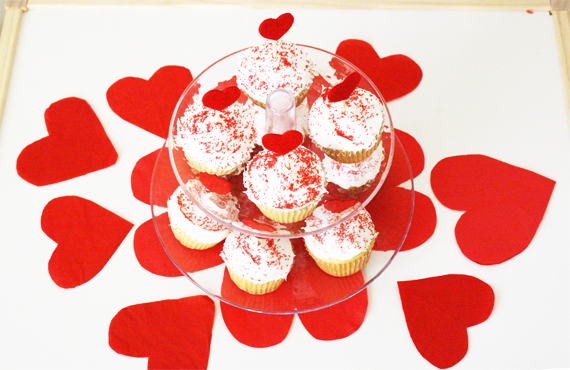 Cupcake Toppers: Felt Hearts with sticky circle back (find in a pack at Hobby Lobby), attach to wooden toothpicks or topper sticks (also found in a bag at Hobby Lobby). Heart Shape Table Decor - Dollar Tree Napkins cut into heart shapes. 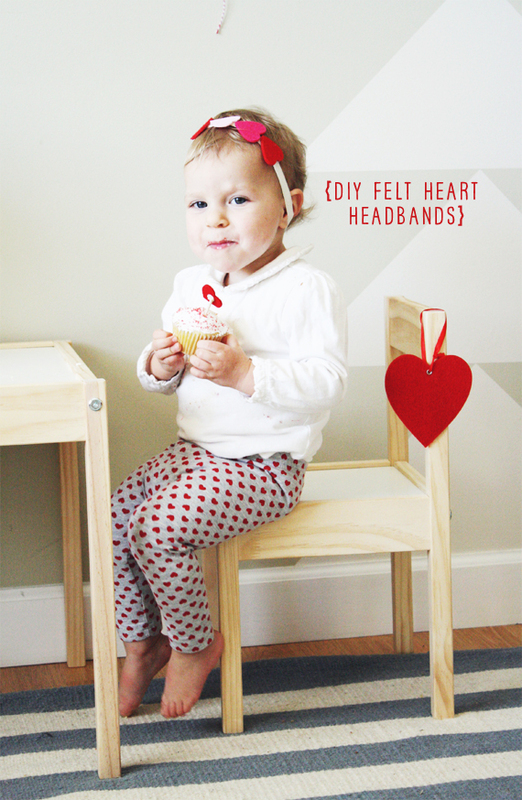 Felt Heart Headbands: Pack of felt hearts with sticky backs (Hobby lobby or Amazon ). Pair two together back to back and hot glue a row full along a stretch headband. Great party favors for the little girls! Cupcake decorating - set out a bunch of sprinkles in small dishes with iced cupcakes for the kids to decorate before diving in. P.S. I have teamed up with some of my favorite shops to give away a ton of fun goodies on the IHOD facebook page. Head over to see what's up for grabs today! this is ADORABLE!! we've been gearing up to party over here with our little LOVES. these pictures are precious. Great ideas! These photos are too cute! Oh my gosh! What a totally cute party!! How cute! I bet the kids loved it! Is there supposed to be a link for the finger painting idea? Or am I blind and not seeing it? Oops! Forgot to link it! Thank you! all fixed and linked above. That first photo is too cute for words! I can't wait to host little parties once my daughter is a bit older...such fun! Oh my goodness this is precious! that first picture is just darling! Ohmygoodness! The first photos is adorable. Great party! 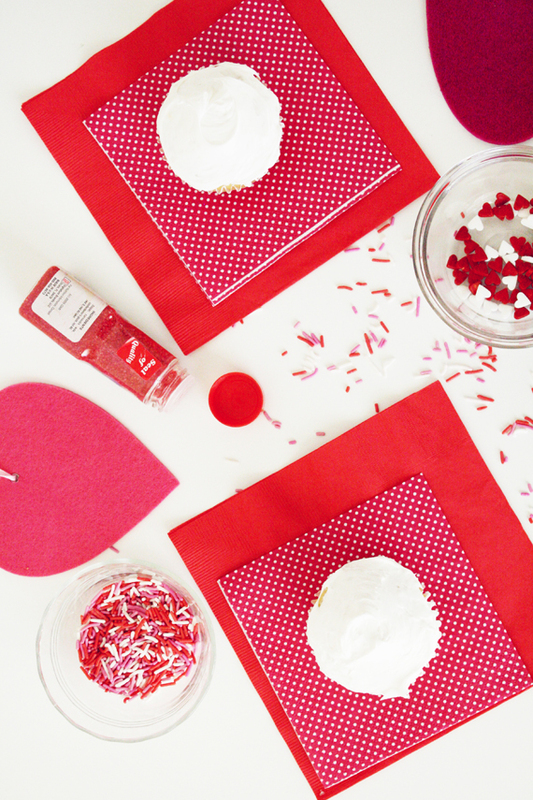 Such a fun and beautiful Valentine's Day party!! I love your pics Anna, and your ideas! You have such a beautiful mind. Very sweet - so lovely done Anna, congrats! this is beyond adorable! and so creative!!!! This is so precious - from the bunting to the cupcakes to the babies! So sweet! Love your polka dot blouse too! Oh my goodness! I hardly know where to start--there is just so much cuteness and adorableness in these photographs! I love that banner! 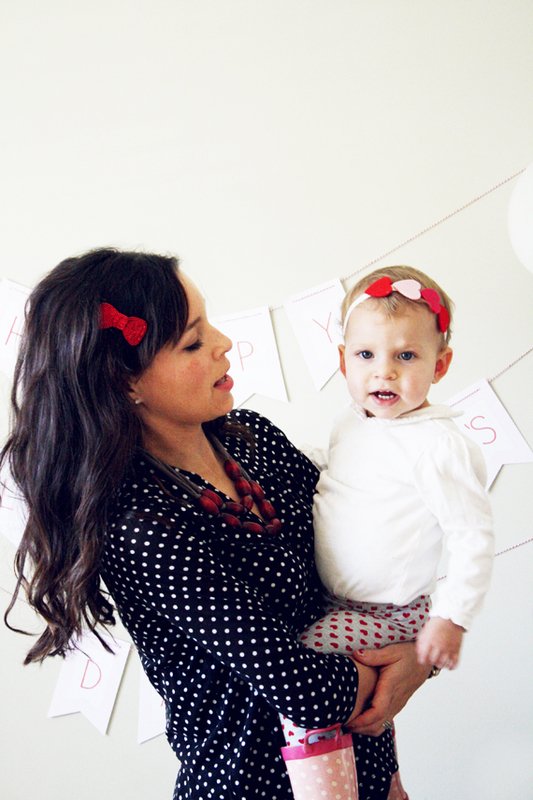 gorgeous styling and tips, pretty mama! What a pretty party for the littles! Love the hearts and her headband is darling!! This is such a cute idea for the little ones... Love it! there is so much cuteness going on in this post I can't handle it! Valentine's stuff is seriously the cutest. Loved that you had a little party for the kids and their friends! Super cute!! Love it! Those cups are adorbs!! Okay so this is like.....the cutest thing I have ever seen! Such a cutie! 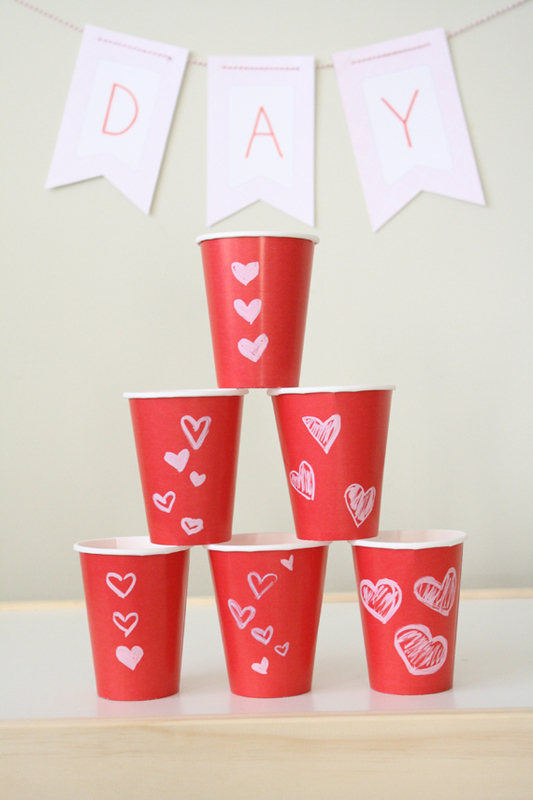 your little ones are the perfect Valentines! OMG too much cuteness!!!!!! LOVE that 1st pic. so cute!! what an adorable picture of you two! 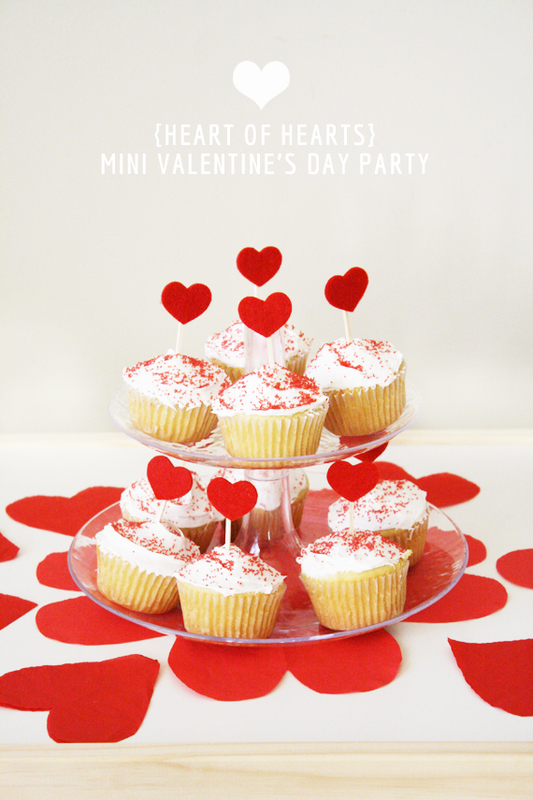 Oh my goodness, you are awesome to throw such a cute party for your kids and their friends! I love how cute everything is on such a small budget, that's my favorite part I think! Such a cute party! And seriously, your hair is perfect. SO CUTE! I can't believe how big they are getting. time is zooming by. 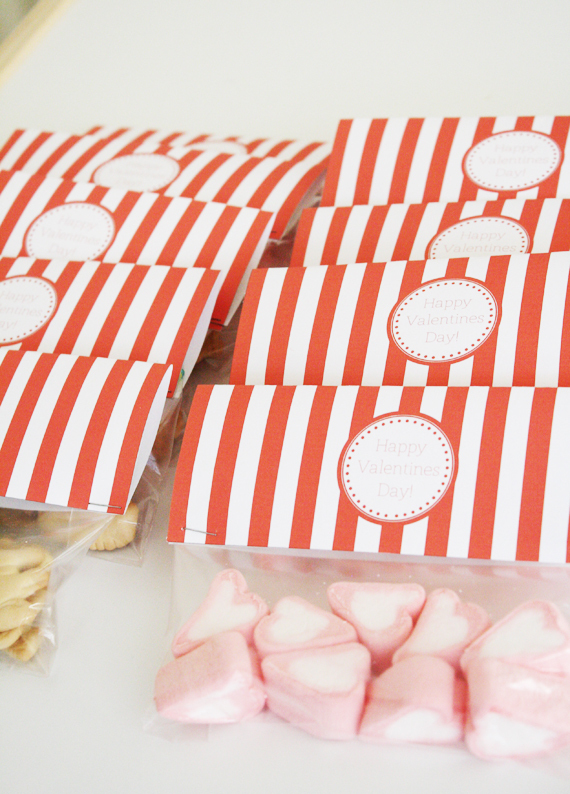 loved seeing my treat bag tag printables :) hope the cousins love them! Just adorable! You have a beautiful family! New to your blog- and LOVE it! Love these ideas! The first picture is absolutely adorable! We haven't tried finger painting yet but I do have some vegetable based paints here that I should try to use with my little guy. 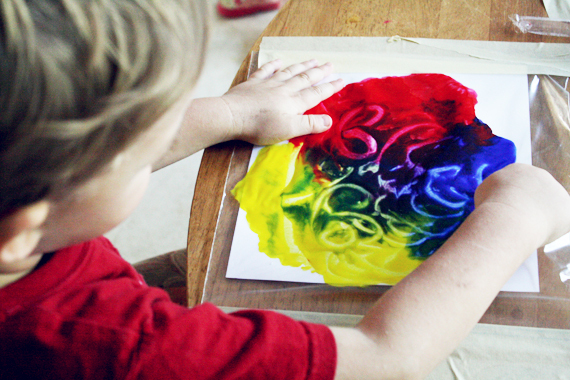 Thanks for the ideas and thanks for linking up to Family Fun Friday!